The head of the Japanese Olympic Committee has announced he will step down when his term expires in June. 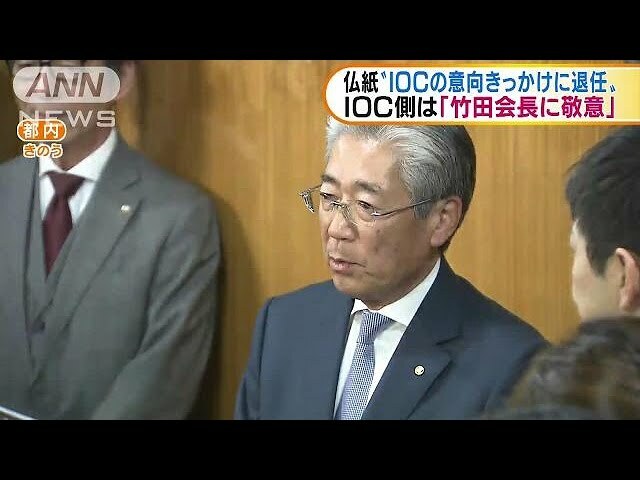 JOC President Tsunekazu Takeda is under formal investigation by French authorities for his role in alleged bribery in connection with Tokyo's successful bid for the 2020 Olympics and Paralympics. Takeda told a JOC board meeting in Tokyo on Tuesday that he feels badly about the confusion he has caused. He said he believes the JOC should be entrusted to a leader from the next generation as it enters a new age. Takeda is also resigning as a member of the International Olympic Committee. French prosecutors say a judge has been considering whether to indict Takeda since December for allegedly approving payments of about 2 million dollars to a consulting firm in Singapore. Takeda maintains his innocence. But his refusal to answer questions at a news conference in January fueled calls for his resignation. The IOC has expressed concerns that the scandal could negatively affect the Tokyo Games. Takeda said preparations for the Olympics and Paralympics are going smoothly, and he sincerely wants them to succeed. Takeda may hope to minimize the impact of the scandal on the 2020 Games by retiring. But the head of the host country's Olympic committee stepping down under a cloud of unresolved bribery allegations is itself unusual.